Top 7 Premium Moodle 3.2 Compatible Themes in 2017! The best e-learning platform is now up and running with a brand new, revamped version 3.2, and there have been some interesting changes to Moodle’s setup. With a host of features added to the software, major improvements in navigation and the user interface, the newer version marks an era of reformation for the learning management system. 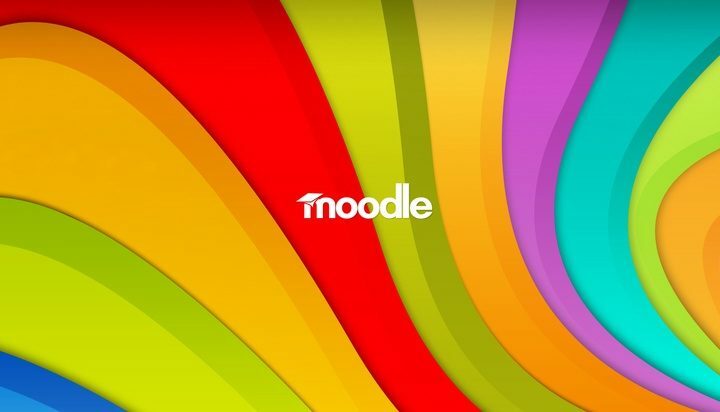 There is however a slight hiccup; most of the themes that can be used for Moodle are still supporting the older version and have not yet been upgraded for version 3.2. The updates for the most popular themes like Essential are still in the testing phase while the themes like Canvas and Base have decided to skip the update completely! Here we compile a list of some innovative premium themes, that are equipped with the functionalities to enhance the base features of your Moodle installation, and most importantly, are completely compatible with Moodle 3.2! 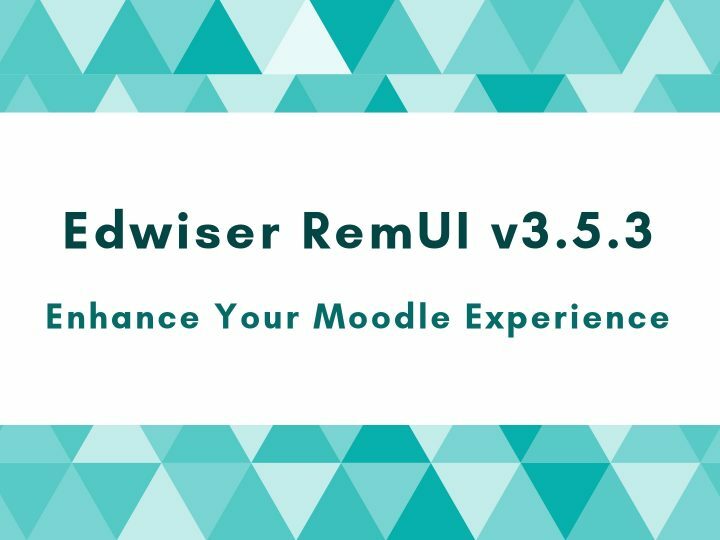 A theme that’s been doing the rounds lately for being the most revolutionary Moodle theme- Edwiser RemUI is a feature-rich theme that adds a lot of flexibility to the Moodle interface. Built on the Bootstrap CSS framework, the theme incorporates Admin and User-based features such as customizable sidebars, course creation shortcuts, color-coded feedback widgets, and custom templates for multiple layout design. The theme is completely responsive and has personalization options that help to create a unique Moodle website. One of the best features of the theme is its emphasis on visual feedback. Graphical widgets for User feedback and User progress through the course makes it extremely easy to parse information at a glance. An added advantage is the exhaustive documentation and great customer support offered for the theme. 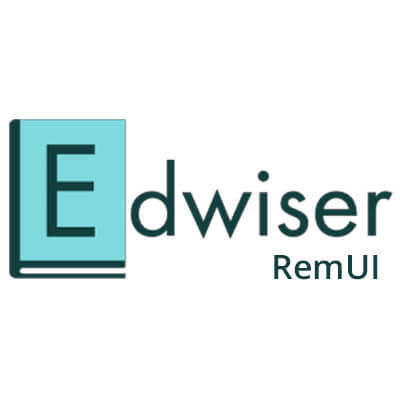 Developed by WisdmLabs, Edwiser RemUI has varying pricing plans, starting from $99 per site. The Online Learning Academy Theme is developed by themeCaters, especially for Moodle 3.2. The theme has a simple back-end interface, with a clean layout and customizable slider displays. It is completely responsive and has a smooth front-end user interface across all devices. The various course and site news display sliders are highly customizable and can be controlled from the admin interface. The theme does not really add a bunch of functionalities in terms of ease of course creation, but is primarily focused on the display, which can be good from a marketing point of view. The single site license is priced at $79, which is a bit steep; however, if you are content with the in-built functionalities in Moodle and are simply looking for a beautiful display, this could be an option for you. Another theme developed by themeCaters, Royal is, in their own words, a simple, clear, educational theme. Royal has a customizable colour palette and an integrated top menu and image slider. The front-end interface is smooth and minimalistic, with layouts that facilitate easy navigation. At the administrator end, one can modify all course, display, and event through the respective Settings tabs. The Royal theme is responsive and RTL language compatible, and allows for substantial customization. Being a minimal theme, Royal is available for $45 per site, and is tested for compatibility with Moodle 3.2. Herald is a responsive Moodle theme that is especially useful for creating courses for businesses, universities, and governments. Herald has a multitude of features including fluid 2-column layouts, multiple design templates, a User menu and Font Awesome icon support, distinct Header and Footer sections, and multiple browser support. At the front-end, it supports an Image Slider, quicklinks for social media accounts, grid course displays, and a Features and Testimonials section. One of the recently added features in the newer version is support for responsive YouTube and Vimeo videos. The theme is built on the Bootstrap framework like Moodle, and hence integrates seamlessly. Developed by Elearning Themes, Herald starts at $159 for a single site, with additional charges for client-specific theme customization. The Lambda theme needs probably needs no introduction. For new Moodlers, Lambda is a popular premium theme for Moodle. 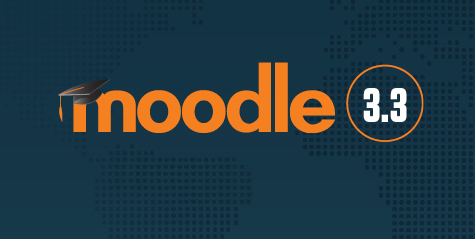 A stellar display with one of the most flexible colour schemes, multiple layout options for displaying courses and course content, several calligraphic fonts and Font Awesome icon support, and detailed documentation make Lambda one of the best premium choices for Moodle. The current version has been updated for Moodle 3.2 and is completely responsive across multiple devices, and has excellent documentation and support. Lambda is available for purchase at Themeforest starting at a regular license at $46. Developed by newschoolthemes, Universo is a great option for universities and educational institutes. Re-usable layout styles and pages are the theme’s prime features. In addition, it offers a drag and drop page builder while incorporating images in the Home Page Slider. The user interface is clean and minimal, with easily accessible Calls to Action. For $40 per site, Universo is reasonable; it does not add a ton of functionalities to the site but can provide you with a workable interface for displaying all college and university activities apart from the main course content. A popular theme for Moodle, Tikli is now updated for the latest Moodle version. A responsive theme with five customizable colour schemes, optional grid and list display views for courses, intuitive tools at the User end, and an easily navigable administrator interface are some of its most prominent features. 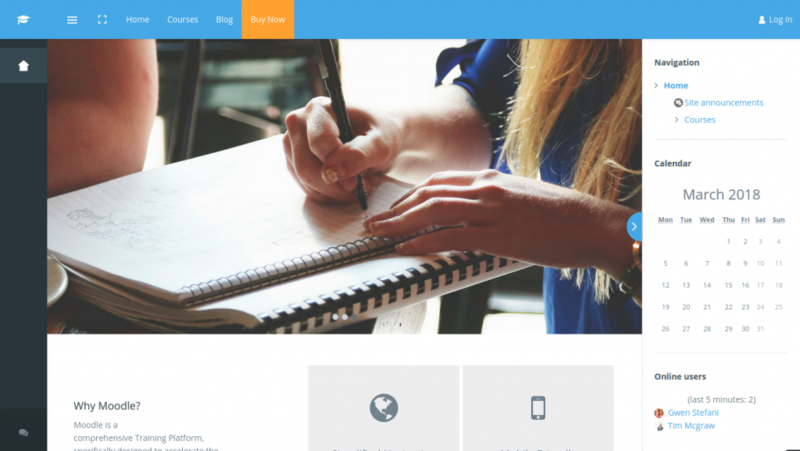 A simple, feature-rich, flexible, and responsive theme, Tikli has been used by several Moodle sites since its launch. The theme is available for purchase at Themeforest for $46. Choosing a theme for Moodle is always a difficult task. To zero in on the one theme that is suitable for your site, has all the necessary display and modification features, and has a working support system to address all your queries is no mean feat. The advantage of premium themes is that you can be sure they will always be maintained and kept up to date; you’ve paid them for it after all! This cannot be said for all the free themes, which often results in broken displays and a site full of bugs. The key to choosing the best premium theme is analysing if the number of features you receive with the theme is worth the cost; if yes, there’s your answer! Which other themes would you recommend for Moodle 3.2? Let us know in the comments section below! Check out our group on Facebook, ‘Moodle Tips & Tricks’ – the name says it all. We’d love it if you impart some of your Moodle wisdom and contribute to the treasure trove of tips and tricks! It’s nice that you show the homepages of the themes, but that’s not what most people will have on the screen all the time. Screenshorts of actual courses are, for me, way more interesting than a login page. Edwiser RemUI is quite an interesting theme. Other Moodle themes do not provide as many customization options.